If you could use one word to describe the talent in the NBA, one word comes to mind, Greatness. Throughout the 2012-13 season we saw amazing feats of record-breaking achievements to awe-inspiring plays and highlight-reel material posterzing dunks, aswell as a great sense of overall team-play. 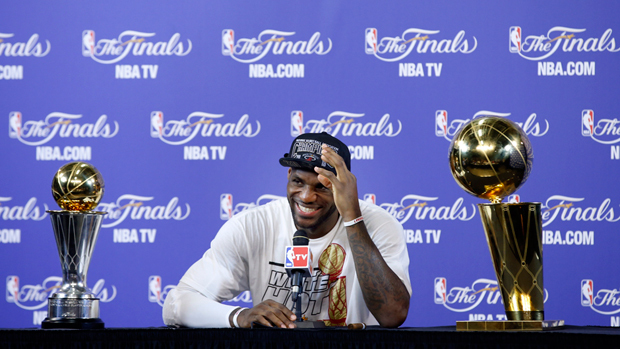 The 2012/13 NBA season was one to remember. These are the TSM NBA Awards 2012/13. The TSM team and close associates have picked 5 nominees for each award and have voted. Match of the Year, Coach of the Year, Sixth Man of the Year, Most Improved Player, Underachiever of the Year, Mr. Villian, Mr. Nice Guy, Defensive Player of the Year, The LOL Award, Best Throwdown of the Year, The All-NBA Teams, Rookie of the Year, and the notorious MVP award. Paul Pierce finished with his second triple-double of the past two weeks, as the Boston Celtics fought their way past the Denver Nuggets with a 118-114 win in a TRIPLE overtime thriller, which consisted of CLUTCH shot-after-shot. Gregg Popovich, widely regarded as the best coach in the NBA and one of the greatest of all-time, lead the Spurs to their 14th straight 50+ win season, a NBA record. 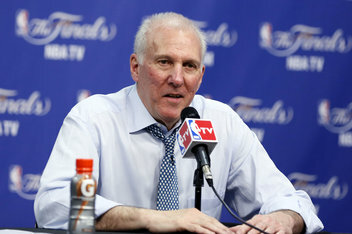 Although coming up short in the NBA Finals, Greg Popovich proved once again why he is the best. JR Smith averaged 18.1 points in 80 games, all off the bench. He had 29 games in which he scored 20 points as a reserve, and this lead to the TSM to vote JR Smith as the Sixth Man of the Year. Some may have complained about coming off the bench, but Smith honored the opportunity and thrived. After a incredible offseason that bought 2x MVP Steve Nash and the best Center in the NBA Dwight Howard to L.A., the Lakers looked prime to win the championship with one of the greatest starting 5s in recent memory. However, this wasn't the case, and the team struggled from beginning to end. It was a complete disaster. In 2008-2009 Dwight Howard was soaring in Orlando and was at the height of his popularity. 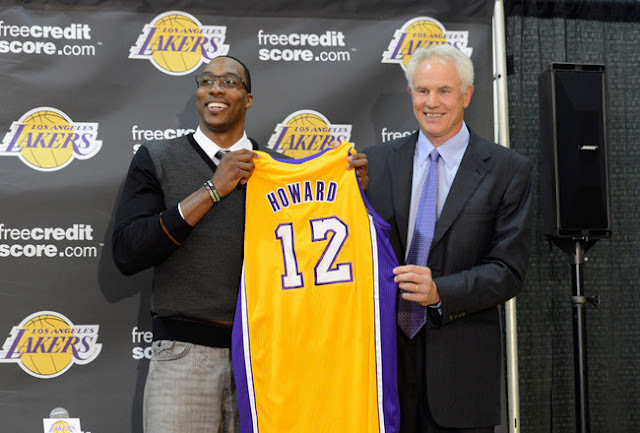 But it all turned sour during the 2012 season as Dwight vented his frustration at the Magic' franchise. After a turbulent, indecisive offseason, Dwight Howard joined L.A. and looked destined for greatness, but the Lakers struggled and much blame was put on Dwight, from fans and from Kobe. Dwight once again made headline this 2013 offseason as he decided to join Houston which angered many fans as they question his loyalty. With 4 rings, 2 MVPs, 14 All-Stars and numerous other accolades, Tim Duncan has a lot to brag about. However, he is always focused on the game and on the court, helping his teammates where possible. He keeps everything on the court and doesn't share his life to the public media. Some say he is boring, but they only say that because he plays smart, effective, fundamental basketball. His style is not flashy, it's not loaded with highlight dunks and fancy passes. But he is one of the most effective players because he's smart... He doesn't make stupid statements at press conferences, Timmy D always keeps it calm and collected. He lets his game do the talking. Josh Smith had a stellar season on both ends of the floor, vicious throw-downs on one end, and game-changing blocks on the other. A real defensive and offensive beast in the paint. Damian Lillard's time is almost now. Winning the 2013 NBA Rookie of the Year award, averaging 19.0 Points, 6.5 Assists, 3.1 Rebounds, confirmed what most of us already know about the Portland Trail Blazers guard—he's on the precipice of stardom. Lillard has joined the company of big names such as Kyrie Irving, Derrick Rose, LeBron James, Kevin Durant and Chris Paul, among others. Well, was there any doubt? Whether you hate him or not, you cannot deny that LeBron is the greatest basketball player on the planet without a doubt, and one of the greatest athletes in Sports History. Fresh off of his 1st ring, 3rd MVP, NBA Finals MVP & Olympic Gold Medal in 2012, LeBron James got straight back to work in 2013 and lead the HEAT to an impressive 66-16 record, topping the Eastern Conference, and then ultimately leading them to the championship. 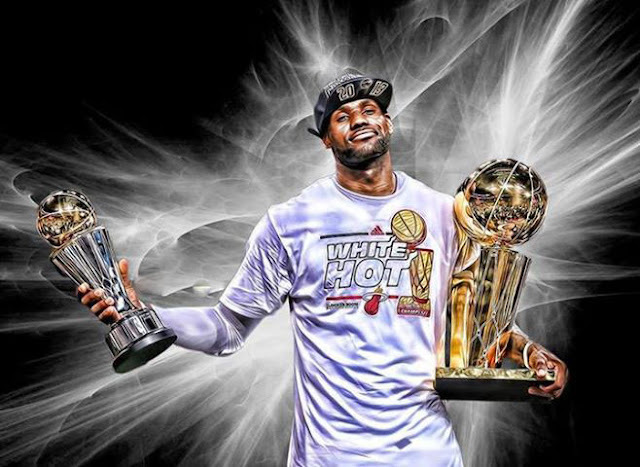 This is LeBron's 4th straight MVP award, and he's not done yet.